1. For more on how Christ’s miracles relate to power, see Herman Hendrickx, The Miracles Stories (San Fransisco, CA: Harper and Row, 1987), 13. 2. For an extensive list of prophecies in the Book of Mormon, including those pertaining to the coming of Christ, see Book of Mormon Central, “How Does Prophecy Shape the Book of Mormon’s Content and Structure? (Words of Mormon 1:4),” KnoWhy 498 (January 15, 2019). 3. Although it is hard to know what kinds of diseases this verse may be referring to, it is possible that some of the people gathered at Bountiful had a disease similar to leprosy. See John L. Sorenson, “Was There Leprosy Among the Nephites?” in Pressing Forward with the Book of Mormon: The FARMS Updates of the 1990s, ed. John W. Welch and Melvin J. Thorne (Provo, UT: FARMS, 1999), 231–233. 4. See John W. Welch, “Isaiah 53, Mosiah 14, and the Book of Mormon,” in Isaiah in the Book of Mormon, ed. Donald W. Parry and John W. Welch (Provo, UT: FARMS, 1998), 308. 5. For more on this, see S. Kent Brown, “Moses and Jesus: The Old Adorns the New,” in From Jerusalem to Zarahemla: Literary and Historical Studies of the Book of Mormon (Provo, UT: Religious Studies Center, Brigham Young University, 1998), 157–167. 6. Jeffrey R. Holland, Christ and the New Covenant (Salt Lake City, UT: Deseret Book, 1997), 282–284. 7. 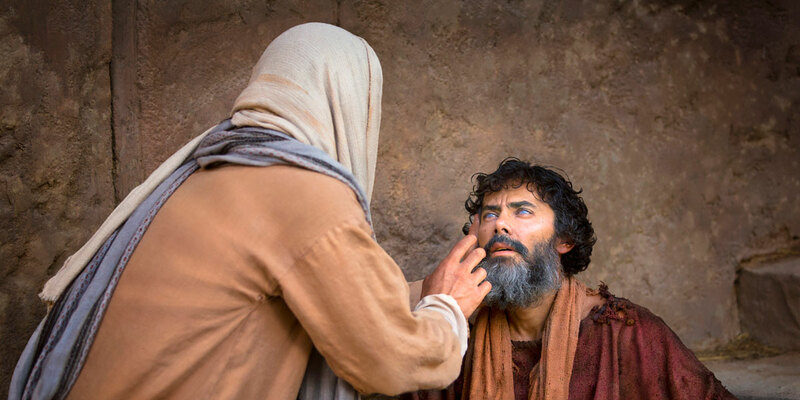 See John W. Welch, “Raising Lazarus: Jesus’s Signing of His Own Death Warrant,” Brigham Young University New Testament Commentary (March 2016). 8. See Welch, “Raising Lazarus,” New Testament Commentary. 9. For an assessment of this, see Graham H. Twelftree, Jesus the Exorcist: A Contribution to the Study of the Historical Jesus (Peabody, MA: Hendrickson Publishers, 1993), 208. 10. See Richard Neitzel Holzapfel, “One by One: The Fifth Gospel’s Model of Service,” in The Book of Mormon: 3 Nephi 9-30, This is My Gospel, ed. Monte S. Nyman and Charles D. Tate Jr. (Provo, UT: Religious Studies Center, Brigham Young University, 1993), 187; Book of Mormon Central, “Why Did Jesus Minister to the People One by One? (3 Nephi 17:21),” KnoWhy 209 (October 14, 2016). 11. For more on how this experience might have impacted the people, see Alvin C. Rencher, “Unity Through the Power of Charity,” in Fourth Nephi Through Moroni, From Zion to Destruction, Book of Mormon Symposium Series, Volume 9, ed. Monte S. Nyman and Charles D. Tate, Jr. (Provo, UT: Religious Studies Center, Brigham Young University, 1995), 263–275. 12. For a general overview of Christ’s miracles, see Eric D. Huntsman, The Miracles of Jesus (Salt Lake City, UT: Deseret Book, 2014). 13. For a thorough treatment of this point, see Charles Swift, “‘So Great and Marvelous Things’: The Literary Portrait of Jesus as Divine Lord in 3 Nephi,” in Third Nephi: An Incomparable Scripture, ed. Andrew C. Skinner and Gaye Strathearn (Salt Lake City and Provo, UT: Deseret Book and Neal A. Maxwell Institute for Religious Scholarship, 2012), 235–260.